The National Capitol Area ENT Care Center (Bethesda) - Book Appointment Online! ***FOR MORE INFO PLEASE VISIT OUR WEBSITE. 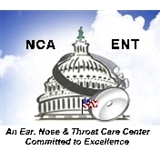 The National Capitol Area Ear, Nose & Throat (NCA-ENT) Care Center provides comprehensive ENT healthcare services to patients throughout the Washington DC-metropolitan area. At NCA-ENT, we are here to serve our patients, to make them feel welcome, and to do our very best to make their visit worthwhile. I had similar symptoms last year, and an ENT could not pinpont what caused it. Dr. Kass listened patiently to my detailed descriptions, ran some tests, and then explained everything. He dispelled the tentative diagnoses given by the other ENT. There are some follow up that I need to do, and I am looking forward to get better. What other reviewers here wrote are spot on: brilliant doctor and reassuring. I am not going anywhere else for an ENT.